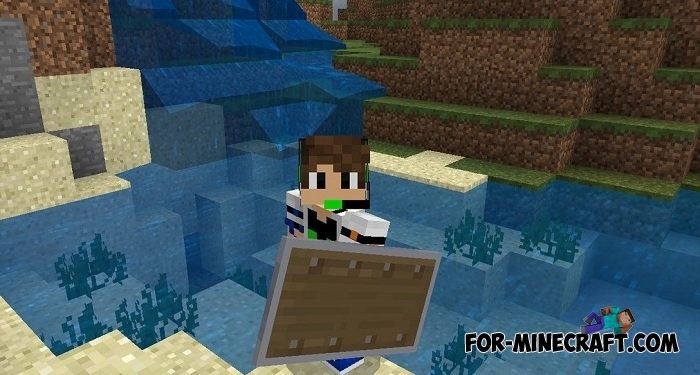 So far, shields are only available on Minecraft PC but will probably be added to MCBE. You can not wait this day and get the shields right now by installing this addon. It has both advantages and disadvantages about which below. Support for Minecraft BE 1.5.0.7. Shield effectively looks in the hands of the player. Like other addons, it supports multiplayer. The ability to customize the shield with the help of graphic editors. Shield has no properties which means it is useless in combat. The position of the shield shifts during running. As you can see, the shield is quite a stylish thing necessary in battles but absolutely useless, although it can be used as a near and far weapon. 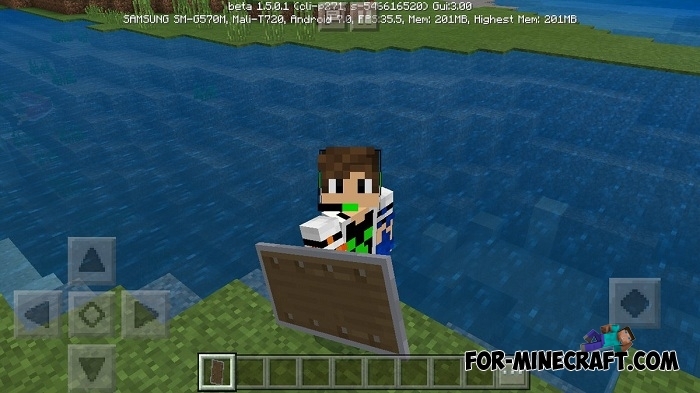 For proper working, you will first need Minecraft Pocket Edition (Bedrock) 1.2 or later versions including 1.5. How to install the Shield addon?